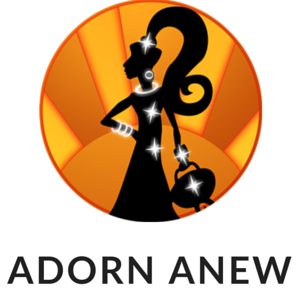 Adorn Anew Online Store formed from a hobby to a reality when I was forced to give up my normal Retail Management career due to ill health. I have always had a passion for Vintage and Retro, as well as a love of anything hand made and crafts from around the world. I decided to make my hobby my living. I had some savings and a laptop and an understanding of retail, so I made the leap. I was thrown into the competitive world of Auctions and Picking, the minefield of Wholesale and made a few mistakes along the way, but got enough right to steer me in the right direction, and open my first online store. My vision for the future is to develop the Vintage and Retro jewellery, both men’s and women’s, as well as the Fairtrade side of the business. Going niche seems to be where my love lies, and going niche is probably the more sensible thing. My new imported range of Indonesian Fairtrade pendants has just landed and has been placed in store. They are exciting and exotic new lines I hope everyone will love. With Adorn Anew I want to make it the “different” destination store. Find something “unique”, find something “you”, find something for that person you know. The store that doesn’t churn out the same as everyone else, the store that seems as if it had picked that item just for you. Different, unique and affordable. i hope to see you here soon.